Quick ‘n Easy to Sew! Fits both newborn and infant car seats. Paparazzi proof shield that means ‘hands off’. 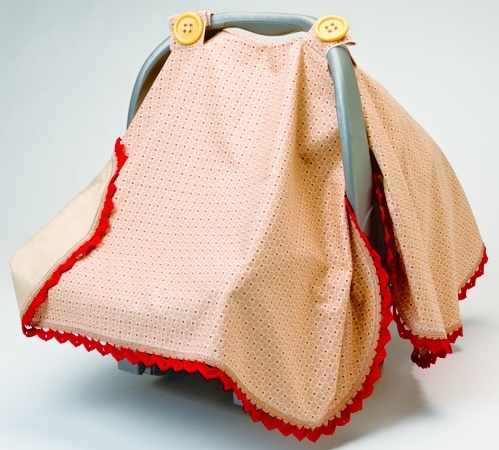 Protects baby from the cold, sun, wind, germs, and strangers! 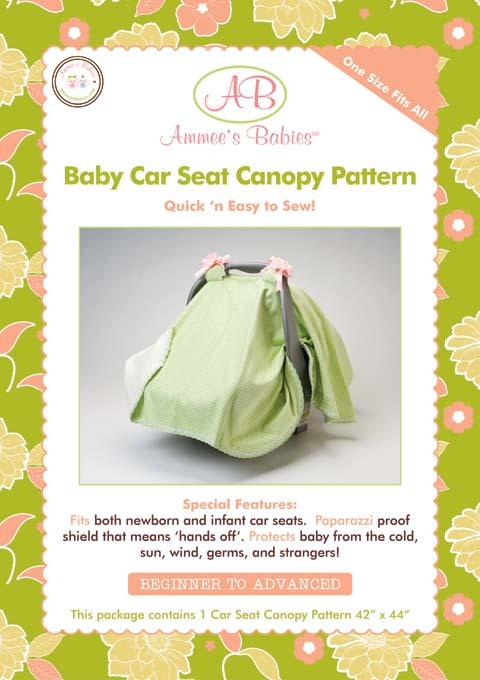 This package contains 1 Car Seat Canopy Pattern 42” x 44“. Beginner to Advance. 1-1/2 yards of fabric for top side, (choose your favorite cotton or flannel). 1-1/2 yards of contrasting fabric for reverse side. 2 yards of 1/2” ribbon to decorate handle straps, 2 crocheted flowers or silk flowers. 6 yards of velvet ric-rac or 1/2 yard of satin to embellish the canopy’s edge.